Vaishali/Patna/New Delhi June 27, 2012: California based Asbestos Disease Awareness Organization (ADAO) has sent a letter to Bihar Chief Minister seeking stoppage of construction on asbestos-producing plant in Bihar on June 26, 2012. In the attached letter, ADAO has asked Nitish Kumar "to consider the scientific and historical data regarding asbestos exposure when conducting your report on asbestos hazards related to dumping the material in a populous area." The letter observes, "More than 30 years ago, the International Agency for Research on Cancer declared asbestos to be a human carcinogen. The World Health Organization (WHO) and International Labor Organization (ILO) agree: asbestos is a human carcinogen and there is no safe level of asbestos exposure. Decades of science have proven that all six types of asbestos fibers – chrysotile, amosite, crocidolite, tremolite, anthophyllite, and actinolite – are carcinogenic. 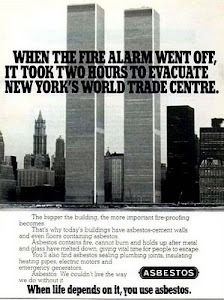 The WHO states that 107,000 workers die annually from asbestos-related lung cancer, mesothelioma, and asbestosis." It further underlines, "This lethal mineral has been banned in 55 countries, and in February of 2012 the court in Turin, Italy found former Eternit owners Stephan Schmideiny and Louis Cartier de Marchienne guilty of “causing a continuing disaster in health and environment” and “willfully neglecting safety regulations in the workplace,” exposing over 2,000 employees to the deadly fiber. The court sentenced them both to 16 years in prison and awarded millions of Euros to victims and their families." 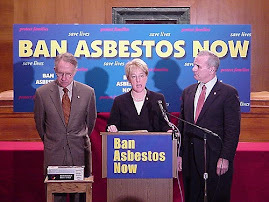 Linda Reinstein, President, ADAO wrote, "Despite the industry’s disingenuous assertions, every form of asbestos - including chrysotile – is a proven human carcinogen. The nearly invisible asbestos fibers can be 700 times smaller than human hair, odorless, tasteless, and remain suspended in the air for seconds or days. Occupational exposure remains one of the greatest known sources of asbestos disease. But it’s not just workers who are at risk; it’s also their families. Asbestos fibers do not discriminate because of age, social class, or gender, and the profile of victims is changing from a male laborer to women in their 50s and children." 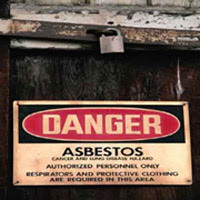 She added, "Asbestos-related diseases are frequently misdiagnosed because symptoms can be mistaken for pneumonia or bronchitis and victims are likely to present symptoms and complaints similar to many other common respiratory diseases. Coupled with a long latency period of typically 10-50 years, both malignant and nonmalignant diseases become under reported, and the challenges in treating asbestos-related diseases are only exacerbated. Most patients die within 6–12 months of diagnosis. The notes that despite all that is known about the dangers of asbestos, annual world production remains at over 2 million tons. Russia is now the leading producer of asbestos worldwide, followed by China, Brazil, Kazakhstan, and Canada. In 2008, these countries accounted for 96% of the world production of asbestos (USGS 2008). A reported 43 percent of asbestos mined in Canada is exported to to India. 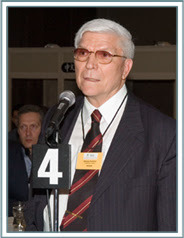 about the dangerous of asbestos and eliminating asbestos disease through education and advocacy. 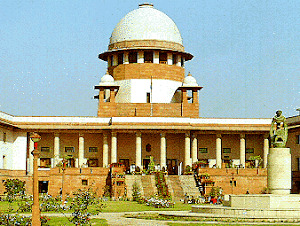 Earlier, on an appeal of ToxicsWatch Alliance (TWA), Dr Barry Castleman, a world renowned public health expert from California, USA and Medha Patkar of National Alliance of Peoples’ Movements (NAPM) wrote to the Government of Bihar supporting the struggle of villagers of Vaishali’s Chaksultan Rampur Rajdhari near Panapur in Kanhauli Dhanraj Panchayat of Goraul block under the banner of Khet Bachao Jeevan Bachao Jan Sangarsh Committee [KBJBJC] against the proposed white asbestos plant of Kolkata based Utkal Asbestos Limited (UAL) company. They have demanded permanent closure of asbestos factories in Bihar. Their letters are also attached. TWA which works on impact of hazardous industries on human health health and environment is supporting the struggle of KBJBJC along with all the left parties in Bihar including Communist Party of India, Communist Party of India (Marxist), Communist Party of India (ML) Liberation, Socialist Unity Centre of India (Communist), Forward Bloc, Jan Abhiyan, Bihar comprising of Janmukti Sangharsh Vahini, Janwadi Mazdoor Kisan Sabha, Communist Party of India (ML)-SR Bhaiji, Jan Pratirodh Manch, Janwadi Lok Manch, Communist Party of India (ML)-New Democracy, Sarwahara Jan Morcha, MCPI (U) and Communist Party of India (ML). These parties have issued also joint statements demanding closure of the asbestos factory and dismissal of fake cases against the villagers. TWA contends that Bihar Government does not have any strategic approach to chemicals management throughout their life cycle. The way State Investment Promotion Board has allowed hazardous factories like asbestos based plants demonstrates that despite lack of capacity to deal with even the existing asbestos laden buildings and end-of-life asbestos products is starkly myopic and is an invitation for public health disaster.